This article was originally posted on The Strategy Bridge. We are sharing it here due to its outstanding contribution to airpower dialogue. As the wars in Iraq and Afghanistan continued, there came a growing focus on integrating Air Force members into Army units in order to improve coordination at both the staff and tactical levels. 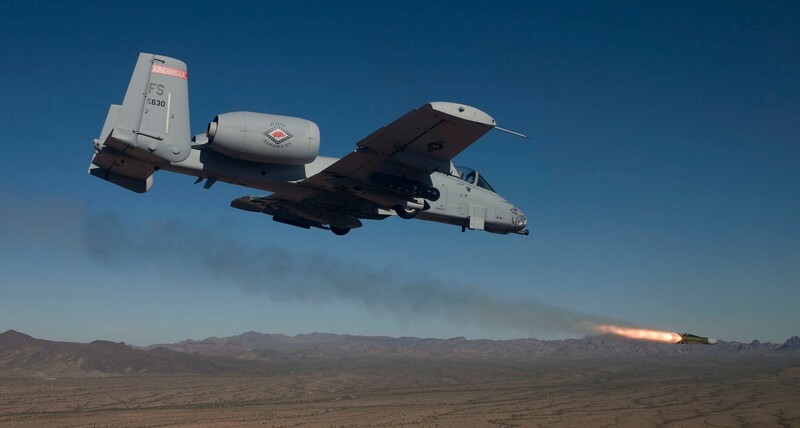 The demand for intelligence, surveillance, and reconnaissance (ISR) assets saw the Air Force begin to increase its capital and manpower investments in both manned and unmanned ISR platforms and work to bring these to soldiers at the tactical level. [iv] This experience was formative for many Air Force leaders. Internally, there have been massive changes in the Air Force over the last 10 years. A lot of the major commands may be the same or small variations on consistent themes. But the missions, aircraft, people, and mindset are very different inside those commands than they were 15 years ago. These two visions are a result of the last 15 years of fighting experience that the Army and Air Force have built. They are both highly divergent, and also complimentary. The Army has taken the brunt of the changes that have occurred in the global civilization since the fall of the Soviet Union and is now learning to operate against connected and individually powerful enemies who operate in complex social and urban terrains. The Air Force has been finding its connection to its joint family, overcoming the hubris of early airpower advocates and finding a voice in the joint fight. The two services probably fight better together now than at any other time in the past. But can that hard won cooperation be sustained with such radically different visions of their futures? Kurt Degerlund is an Active Duty Officer in the USAF who writes on leadership, airpower, and international relations. The opinions expressed in this article are the author’s alone and do not represent those of the US Air Force, the Department of Defense or the US Government. You can follow him on Twitter @kjdegs. ← Lethal Autonomous Weapons Systems: Humanity’s Best Hope? The author should be applauded for his refreshingly corporate view. With an unnerving shift in global context and in a time of such financial paucity and military scrutiny, adopting a holistic approach to military solutions has become more important than ever. Moreover, if policy ambitions are maintained at the global scale, the sheer diversity of mission sets demands that we do things differently. That requires a common view, integrated solutions and shared innovation. At a more grand scale, collegiate thinking has to extend towards better integrating our trusted partners and allies. We must share the burden. To successfully confront the surge in complexity, whether in the Pacific, the Da’esh Crescent or a renascent Russia, we must march together. No one is arguing that to represent the uniqueness of one’s own service is misplaced loyalty. After all, advocacy forms a essential element of esprit de corps. But it is equally important to recognize that this should never be at the expense of our collective aim – to secure national objectives. Force can constituted and applied in many ways, depending on the desired outcome. But the strategic qualities of humility and to be comprehensive will remain constant. There is no better example of what can happen when colloquialism, internecine strategy and moral weakness combine than Operation ANACONDA (as though we needed reminding). Even as I observed the confusion from the relative comfort of a CAS wheel, tried to distinguish friend from foe and unravel the convoluted reality, I had already lost two of my closest American friends. Pride should never exclude common sense and our most basic obligations never be obscured by egotism. The tragic irony was not lost in subsequent analysis that identified the ‘..often detrimental effects of bespoke single-service cultures that are purposefully inculcated into our officer cadre’, which in this specific example, divided and conquered from within. Most disturbing perhaps, is the monotony of this basic lesson from which we are seemingly unable to learn. Sure, a lack of inclusivity has long mired joint outcomes but when there is a deep swathe of historical evidence to support the intrinsic value of harmonization, we should collectively hang our heads in shame at the consequences of not being morally stronger – either in the planning room (had we been present), to identify shortcomings or vulnerabilities, or worst case, during the immediate signs of failure. But I also applaud the author’s brave optimism – that through 15 years of shared adversity, the status of service integration is about as good as it has ever been – a nexus of political and operational pressures have forced us to better interact and interoperate. There is little doubt over the need to maintain and protect those rare and special relationships. I, as only one example, have no greater respect than for those who I have served to protect, in the land, maritime and air environment. But it is perhaps naïve to promote this undertaking as a simple one – true integration requires time, resource, stamina, compromise and a deep-rooted trust. There is no room for narrow-mindedness. It is the joint thinkers, surely, willing to forego their ‘..individual, finite, fragile moment’ who are best-suited for senior leadership positions. The enduring, irritating dilemma is that wide, more strategic loyalty is not necessarily the best way to excel within the realm of one’s own service. And for the pessimists, just as things looked bleak enough, the dawning of the emerging context is also stacked against us – an ‘operational lull’, fast-approaching changes in the administration and concurrent strategic reviews of our military expenditure infer that the tedium of single-service posturing is likely to return – nay, is positively encouraged. So it should be no surprise to the author that disparities exist between our views of the future or our respective service’s role within it – cynically, narratives are too easy to shape and sculpt so that they better justify investment and relevance. So divisive have these narratives become, in fact, that we risk undoing everything we have already learnt – unnecessary bravado creates only one thing – deep-rooted, mutual skeptism. We must reward those who best form joint military teams, recognize and value each other’s impressive expertise, and think comprehensively – it is a valid tactic, a formidable strategy and our only hope of survival.